Whilst at the supermarket, I’m sure we’ve all spent far too many hours perusing the Free From section. When we wander outside of our comfort zone into what I refer to as “the normal person aisles”, we must then spend our time reading ingredients lists in tiny tiny type. Sometimes we’re even lucky enough to have an allergy advice box to assist us with our label checking. Every once in a while though you strike gold, an item in the “normal person” aisle with the words “gluten free” on the packaging. An item good enough that it is fit for consumption by regular folk, yet the manufacturers have been kind enough to label the item gluten free for us poor old gluten intolerants. This is something that I refer to as gluten free hidden treasure. 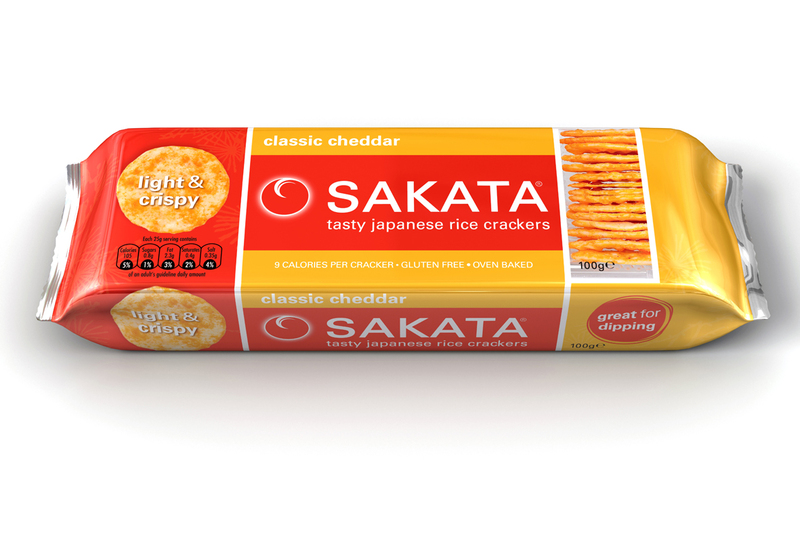 Sakata crackers: You may hear the words “rice cracker” and have the instinct to run a mile. However I cannot recommend these Japanese beauties highly enough. These little crackers are packed with flavour and I particularly love the BBQ version (be aware this is made with gluten removed soy sauce so may not be suitable for those with wheat allergies). Great for dipping too, and the classic cheddar flavour with some salsa is a great combination. They’re even 97% fat free, but be warned they are addictive and I have demolished an entire pack on more than one occasion! You’ll find these lurking in the cracker aisle next to the Jacobs and Ritz, somewhere you’d never normally look! 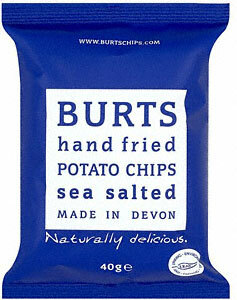 Burts crisps: Crisps hand fried locally in Devon, these crisps are delicious and all flavours are labelled gluten free. Burts also produce the Nandos crisp range, which are also labelled GF. Plenty of choice in flavours too and even the new Guinness flavour is gluten free. 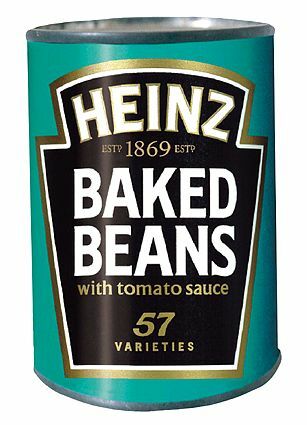 Heinz baked beans: The good old classic Heinz baked beans are also labelled gluten free. I’m sure most of you know this one, but it’s worth noting that some of the cheaper brands do contain gluten. They’re even one of your five a day! 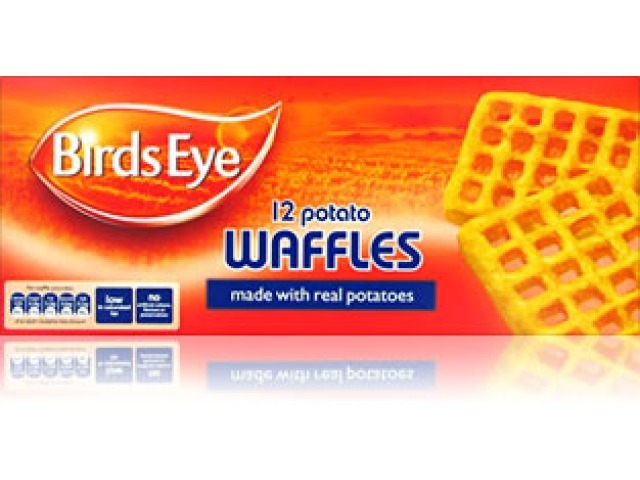 Birdseye potato waffles: Beans on toast doesn’t taste the same with gluten free bread? Don’t worry, pour your Heinz baked beans over some potato waffles instead and it tastes even better. They’re waffley versatile too. Some of the cheaper brands do use wheatflour in the coating so it’s great that Birdseye label their waffles gluten free. 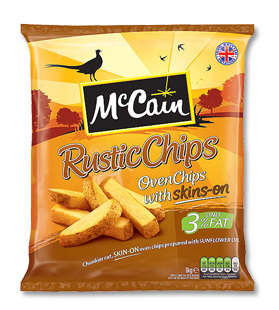 McCain rustic oven chips: When first diagnosed I spent a considerable amount of time reading labels trying to find oven chips that didn’t use wheatflour to crisp the coating. I discovered these chips from McCain were not only labelled gluten free, but contain only 3% fat. 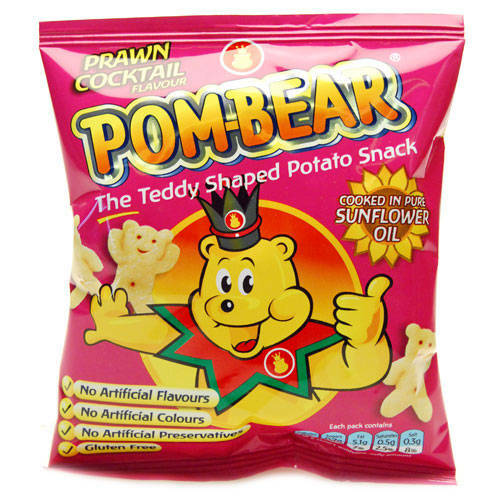 The ingredients are simply potato and sunflower oil. I like the fact that the skins are left on too. 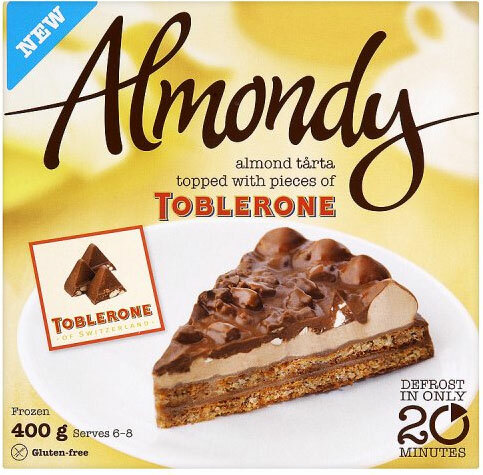 Almondy Toblerone dessert: This cheeky little number can be found lurking in the regular dessert section at Tesco. A cake like base, with a mousse topping that reminds me of a Milky Way, covered in chocolate and chopped almonds. Really delicious and well worth a try if you are looking for a quick and easy dessert. 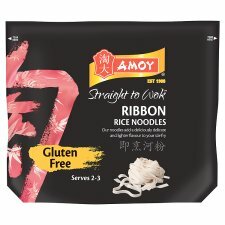 Amoy noodles: Amongst the Amoy range of noodles, there are a couple of varieties of rice noodle that are very clearly labelled gluten free. They are straight to wok so perfect for stir fries, and it’s really nice to have a change from rice. I’d recommend the ribbon variety if you can get them, as they are a bit more substantial than the thinner variety rice noodles. Other varieties contain gluten so make sure you pick up the correct ones. 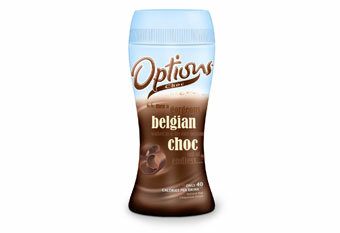 Options hot chocolate: Well with winter approaching it’s nearly time to start enjoying a nice hot chocolate in the evening. Finding a gluten free hot chocolate can be tricky however, but luckily the Options range use gluten free labelling. I’ve tried the Belgian Hot Chocolate variety and it’s very nice, I’m not 100% sure if the other flavours are labelled gluten free so as always check the packaging (their packaging is far more helpful than their website I have to say). EDIT: I’ve checked the packs in Sainsbury’s today and all flavours I could find were labelled GF, including mint choc, orange choc and white choc. 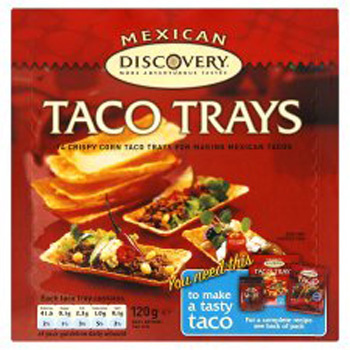 Discovery Mexican: I’ve mentioned this range in previous posts, but many of the Discovery products are labelled gluten free. This includes the taco trays, most of the spice mixes and even the crumb coating. Not all of the range is gluten free though, and sadly the tortillas contain wheat. Packaging is subject to change as we have seen recently with Seabrook’s, so always make sure you read the label. So what are your gluten free hidden treasures? Please comment below and let everyone know! Well hello again my friends!